Supporter Megaphone. If you're a pro football fan, you can not stop wearing the megaphone to encourage your team when you go to the field. Players will feel you are with them. Madrid, Barça, At. Madrid, Betis, Celta Vigo and Lugo, we all have a certain sympathy for a football team (My teams are Betis and Lugo, but it's a secret). 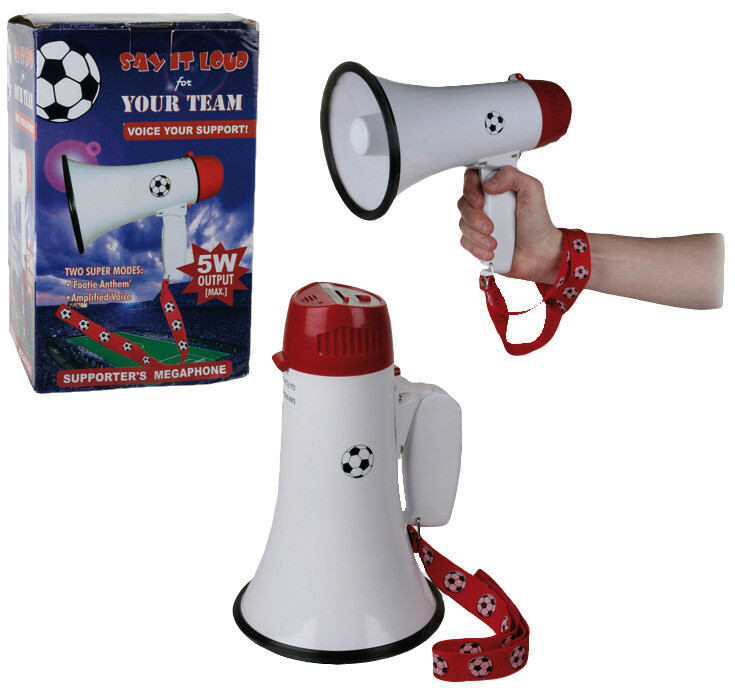 Now you can cheer your team as it deserves with this megaphone, without having to leave the vocal cords in the attempt. Plus you'll encourage them to music!! The song is surprise, surprise! Works with four batteries, and has voice function and song. 5W, so it is advisable not to use at the ear of another person. Supporter's Megaphone Measures: 22 x 17 cm.